A noncustodial parent is a parent who is not the primary caregiver of a child. Noncustodial parents do not have sole custody or control over the care of their children, but they are still legally obligated to pay financial support. If a noncustodial parent moves out of state, it can cause a myriad of issues for both the parents and the child. Lack of a male or female parental figure can cause challenges within the household for both parents and children. Some school functions -- such as a Mother's Day luncheon or a Daddy-and-daughter dance -- can cause a child to feel uncomfortable and hurt, since they require a gender-specific parent who may be missing from the household. When the noncustodial parent lives in a different state, it's usually difficult to show up for such events. When a noncustodial parents moves out of state, he places physical and emotional distance between himself and his children. Only being able to see each other a few times a year may cause the relationship to lose its closeness. It is important for both parents to abide by the laws and the agreements set up at the original custody hearing, unless a revised agreement is approved by a judge. Children may not want to visit a noncustodial parent who lives in a state far away, but they still have to, if a judge or magistrate legally made that ruling. Long-distance visitation, no matter what length of time has been granted by law, can cause emotional distress for the child and custodial parent. When the noncustodial parent moves out of state, one worry is that the children may get dragged into a child-custody tug of war. The Uniform Child-Custody Jurisdiction and Enforcement Act (UCCJEA) is a statute that sets standards within the court system to keep custody determinations in one particular state -- generally the state in which the child resides. This statute also protects children who are unlawfully taken away from their custodial parent by enforcing the Parental Kidnapping Prevention Act. Living in two different places can be difficult for children -- even if they only visit the noncustodial parent once or twice a year. They have to uproot from their primary home, family and friends, which can cause feelings of loss and loneliness. It also can strain the relationship between the child and noncustodial parent, as the child may feel angry and lash out with bad behavior. When a noncustodial parent moves out of state, it can place a huge financial strain on the primary caregiver of the child. Even if the primary caregiver receives child support as ordered by the court, that money may not cover travel expenses to get the child to the noncustodial parent's new home in a different state. A meeting with the friend of the court referee will establish a resolution as to who will pay travel expenses or if they will be shared -- this is called parental time offset. 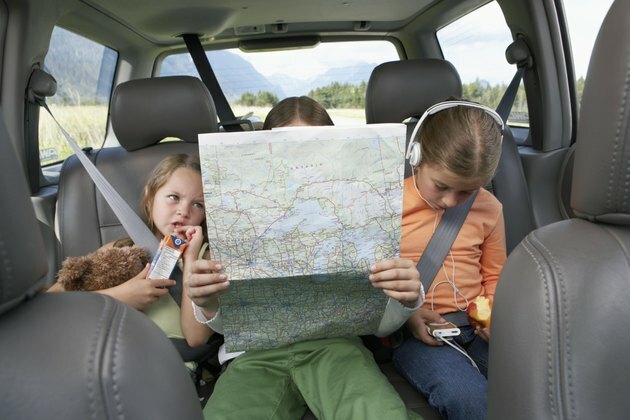 Unless designated by the magistrate, most travel expenses will be paid by the noncustodial parent, if the child is temporarily under her care.